The image that often comes to mind when people think of a gamer is a male loner playing in his parents’ basement, but as the world’s premier event for computer and video games, E3, kicks off it’s time to dispel that stereotype with new data. An extensive survey of 5,763 video game players in 11 countries, commissioned by Dell, has revealed that today’s gamers are quite diverse — from your coworker with two kids, to the woman next to you at the gym. Gone are the days that being called a gamer is derogatory. According to those surveyed, less than one in 10 feel either “judged,” “childish” or “embarrassed” being called a gamer. You can see more of the research results in the infographic below. We’re bringing more than industry data to the gaming industries biggest event, however. Are you heading to E3? If so, you’re invited to join Alienware and Dell Gaming there at booth #647 in the South Exhibit Hall to check out our new, high-performance, gaming hardware. At E3 last year, we launched our first branded keyboard, mouse and monitor. 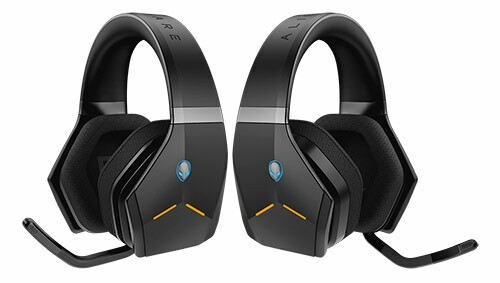 This year we’re bringing the Alienware Wireless Gaming Headset to complete the Alienware ecosystem. It’s designed for diehards demanding game-dominating audiophile detail, and will give you up to 15 hours of battery life with AlienFX turned off. 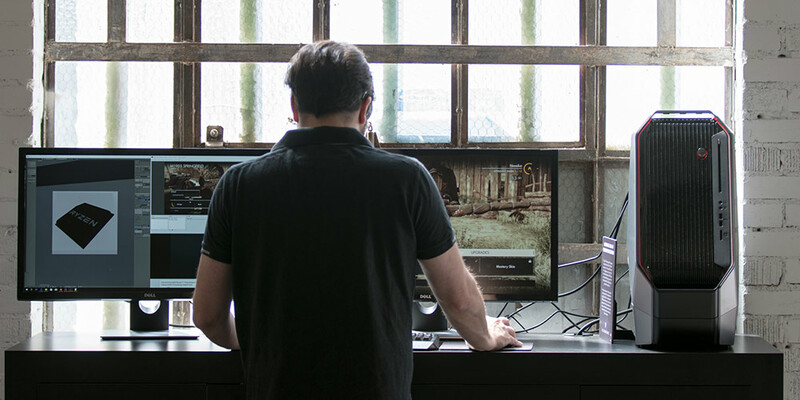 But, if you choose to turn it on, the headset also has lighting customizable via the Alienware Command Center with 6.8 million – million — colors and four animations from which to choose. We’ll also be showcasing the newest addition to our Inspiron Gaming line – so customers can compete at all levels. 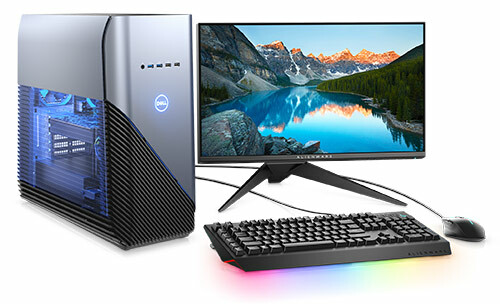 The Inspiron Gaming Desktop with 2nd Gen AMD Ryzen™ processor will have some of the highest multiprocessing, multitasking performance gamers can get on a mainstream desktop PC. It joins four other Inspiron laptops with high-performance AMD Ryzen™ Mobile Processors with Radeon™ Vega Graphics or 7th Generation AMD A-Series Processors. Joining Alienware Arena is FREE and members receive access to the most exclusive in-game items and early beta access to some of the most sought-after pre-released games. They also have access to the Arena Rewards program that has been in place for eight years. Next week at E3, these benefits will expand with the launch of the Alienware Arena App. Allowing gamers to stay connected to the Alienware gaming community and rewards, the official Android app was built from the ground up for gamers to create and access their accounts on the go and interact with features of the site such as Arena Awards. Although often find myself blogging about gaming here on Direct2Dell, I’m not an Alienware Arena member because I’m not actually a gamer. Should I opt to change that, though, our State of Gaming Report shows that I would find the gaming community welcoming and accepting of others. When selecting an opponent to play, ethnicity, political view or sexual orientation make little difference – it’s all about skill. And to help gamers increase those skills, we’re launching the new Alienware Academy. It’s a digital PC gaming skill-building platform, in closed beta right now, featuring a series of video lessons, training challenges, and performance feedback. It’s not really designed for n00bs like me, but rather to help amateur athletes learn to game like an esports pro. Alienware Academy courses (example below) are guided by Team Liquid and enabled by Tobii eye-tracking gaze overlay, heatmaps, statistic and pro player comparison tools. Did you know that in 2017, more people tuned in to watch esport’s League of Legends finals than the World Series and Super Bowl combined? And, the esports fanbase is predicted to grow from 383 million today to more than 500M in 2019. You may be surprised by that, but we’re not. Dell and Alienware have been supporting the esports industry and historic franchises like Team Dignitas and Team Liquid for more than a decade. And ELEAGUE, an Atlanta-based esports league operated by Turner Media and the WME/IMG agency chose Alienware to be the official sponsor and exclusive PC systems provider, equipping their tournament facility with Alienware systems. Now we’re furthering our esports legacy by forging new partnerships with the NBA, Detroit Renegades, Miami HEAT and Misfits Gaming, and taking our partnership with Team Liquid into unchartered territory for North American esports. Alienware and Dell hardware will be utilized throughout the NBA 2K League live studio experience during league competitions. Renegades athletes will train and compete on newest Alienware hardware. Misfits players will train and stream on all Alienware hardware including the Alienware Aurora desktops, Alienware 15 laptops, AW2518H 240Hz monitors and mixture of Alienware keyboards and mice. On March 7, Alienware and Team Liquid celebrated the grand opening of the Alienware Training Facility. This tech-rich, 8,000 sq foot space — designed to mimic the kind of high-tech training offered to traditional athletes — supporting multiple competitive teams with an in-office chef, sports psychologists, nutritionists, dedicated coaches and analysts. Plans are now underway with Team Liquid to establish a second training facility in the Netherlands by the end of 2018, which will serve as their new European headquarters. All of these announcements are a lot to take in, and it’s only a portion of what we’re showcasing at E3. Beyond the individual gamer and even the esports team support, Dell is here for the people creating the games themselves. Check out the behind-the-scenes video with one of those customers, CD PROJEKT RED, on our Direct2DellEMC blog.